Ten years have passed since the release of the last regular Kreator live DVD. 10 years, in which the Thrashers recorded three brilliant albums and, in which they had an excellent and stable line up (for the longest period ever, I believe). So, a new DVD does make sense! And here it is! It comes as a DVD or a BluRay, both are being delivered along with two audio CDs containing the concert and some additional songs. 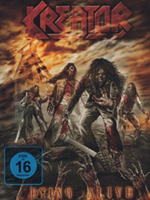 The show, recorded for this DVD, took place in Oberhausen, Kreator´s home turf, in 2012. The rough, industrial atmosphere in the Turbinenhalle (an old turbine hall) fits perfectly to the music. Picture and video quality are excellent. Especially, the sound blows you and everything else away. The cuts are sometimes quite fast, which, however, fits perfectly to the music but looks a bit like in a chase. But it is really cool that the focus of the setlist is on the last three albums. So, there are only a few songs (6 out of 18) that were already present on the last DVD. 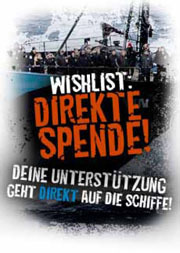 But it is a pity that the bonus footage is close to non-existent. The only interesting part is a short documentary about the concert, which basically shows all the other guys who were involved with the live production. Remembering that “Live Kreation” already had a history part, this shortcoming is only a small minus.